The Scratching Post – 2016 Issue No. 1 – Tails High, Inc. Please enjoy this edition of the Tails High newsletter. We can always use help creating more content so please email Ursula if you have an idea for an article. 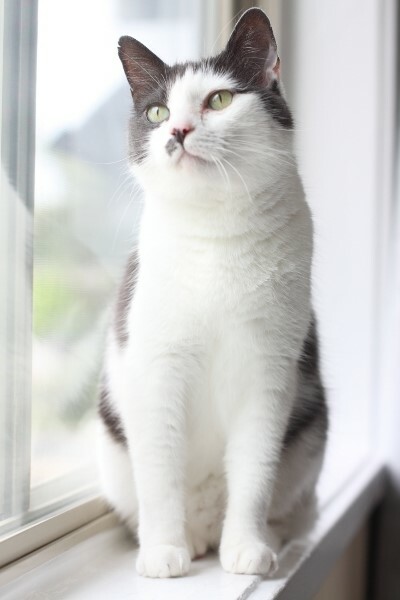 We would love to hear stories about your fostered or adopted Tails High cats. A Big Thanks for Your Help! Tails High would like to send a big thank you to everyone who donated over this holiday season. We reached an all-time high in donations which will help us continue our mission of rescue and re-homing cats and kittens in need. We try our best to keep our mailing list up to date but each year many of you move and forget to send us your new address. If you did not receive a holiday card from us, the address we have on file for you is probably not valid. Please send us your most recent mailing address and know it’s not too late to help Tails High by making a one-time or repeat donation. Our 2015 holiday card featured the very handsome Max. He is 13 years old and has been looking for his new home for several months. Max’s person asked Tails High for help when a medical condition caused her to no longer be able to care for him. He is this edition’s featured feline. Many of you made donations in in honor or memory of someone special to you. The Holy Cow burger fund will donate 25 cents to Tails High for every burger sold when you place an order and mention our name to the cashier. So head on down to Holy Cow for some good food and to support a good cause! Although winter is upon us and the cold weather is here. We’d like to ask you to think ahead to this year’s Spring2Action which is scheduled for April 20, 2016. Spring2Action is the annual day of giving for Alexandria based non-profits. Of course we would welcome your donation but we want to ask you to help in a different way this year. Please consider passing on the Spring2Action information to your friends and family, business associates, customers, church members, and anyone else you can think of who might be willing to help by making even a small a donation to Tails High on April 20th. We will have informative emails that you can simply forward to them. Please also consider sharing the information on Facebook. If you would like to read more about Spring2Action click the link below. Why does my cat chew on my hair? A less innocent reason for your cat’s interest in your hair could involve an obsessive compulsion called pica. This occurs when your cat performs behaviors such as sucking, chewing or eating non-food materials, including your hair. A form of self-calming behavior, pica may occur when your cat is stressed or in a situation where he is uncomfortable. You typically shouldn’t worry about your cat giving your hair a good once over every now and then, as it’s usually normal social grooming behavior. If you notice your cat making a beeline for your head the moment you sit down, it could be a sign that he’s feeling stressed or starved for affection. Watch for signs of intestinal upset, as swallowing your hair, especially if it’s long, could cause an increase in the number and size of hairballs or the possibility of blockage. To change this chewing behavior, you must identify what may have caused it. If your cat seems lonely, play with him more often or find him a playmate. Some cats simply like to chew, so buy him some appropriate chew toys and swap them out regularly to keep him interested. Plant some catnip or other cat-safe grasses in a small pot to let him chew as he needs without danger. Offer him a safe place to escape to, such as a quiet bedroom or bathroom, if he feels stressed because of schedule or routine changes. 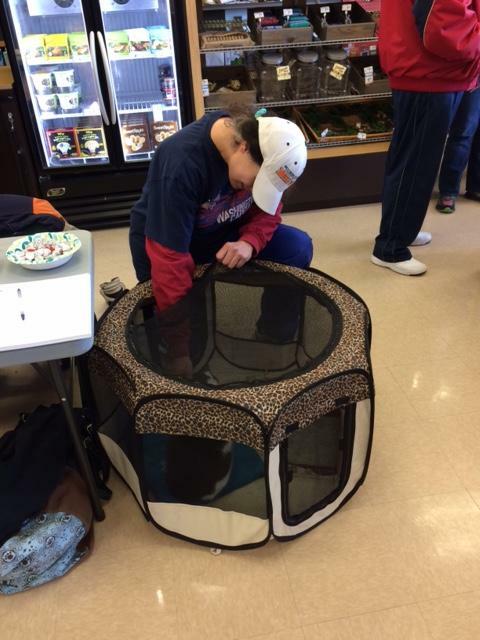 The first Tails High adoption events at Unleashed by Petco in Springfield (8070 Rolling Road) were a hit! Several people stopped by to say hello, pet the cats, or give a donation. Amber, the store manager and her staff were great! We look forward to our next adoption event on Saturday, February 27th from 11:00AM to 3:00PM. Click here for store details. In January I moved into my new home with a new sister! I am very excited and looking forward to lying in the sun, watching TV and spending time with my new family. Gypsy is a senior girl who has a lot of experience being a cat. She has agreed to continue takng questions from our readers in the hopes of educating everyone about the feline species even though she recently moved. What is the best age to have kittens neutered? This a great question because spaying and neutering your pets is so very important because of the abundance of homeless cats and kittens. Some time ago it was thought it was best to wait until a kitten was six months to a year old. However after years of advancements in veterinary medicine it was found that having your kitten neutered as early as 2 months can allow a kitten to recover more quickly. Ironically the decision on when to neuter a kitten varies from veterinarian to veterinarian with a time-frame of 8 weeks to 6 months. If you would like more information on spaying/neutering I recommend talking to your veterinarian and checking out http://www.spayusa.org. 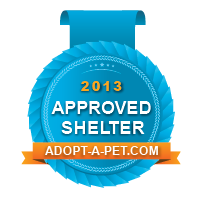 It’s an excellent resource produced by the North Shore Animal League. I’ve also heard that performing the surgery at about 3-4 months (often about 3-4 pounds) and before their hormones develop allows internal organs to develop to a healthy size and will greatly reduce the risk of mamory cancer in females and stop a male from developing the undesirable habit of spraying to mark his territory. How do you keep kittens from pawing furniture even when there are 4 scratching posts in the house? I can remember those days when I was young and scratched the furniture just for fun. We cats due this out of natural instinct not to be bad kitties. I would first recommend putting catnip on the scratching post or attaching a toy to it. This will make the scratching post more attractive to the kittens. You can also deter the kittens from scratching the future by placing aluminum foil or double sided tape on the item they are scratching. Keep it in place until the scratching of the object subsides. You also may want to consider where the scratching posts are located. Position the scratching post in an area your kittens like and move it gradually once they are using it regularly. The most important thing to remember is to praise the kittens when they use the scratching post. Take it from me scolding them for the destructive behavior is not effective. See more helpful tips at http://www.humanesociety.org or contact the nice folks at Tails High for more information. 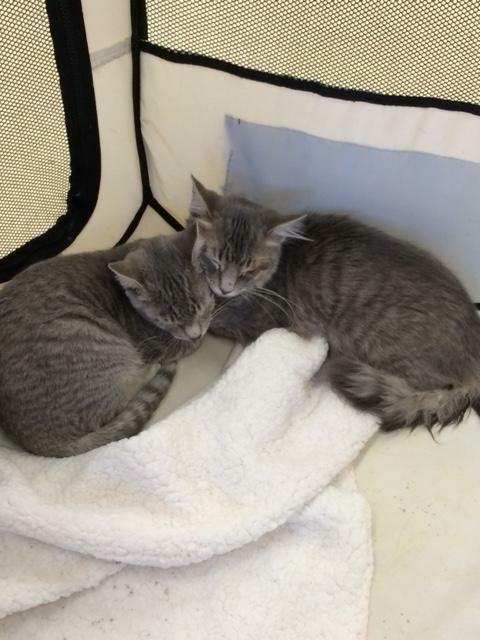 We will be at the Annandale Petco both days this weekend, the 13th and 14th from 11:30-3:30 with many of our available cats and kittens. Come out and fall in love! Bring a friend or the cat or dog you already love for a Valentines Day photo. 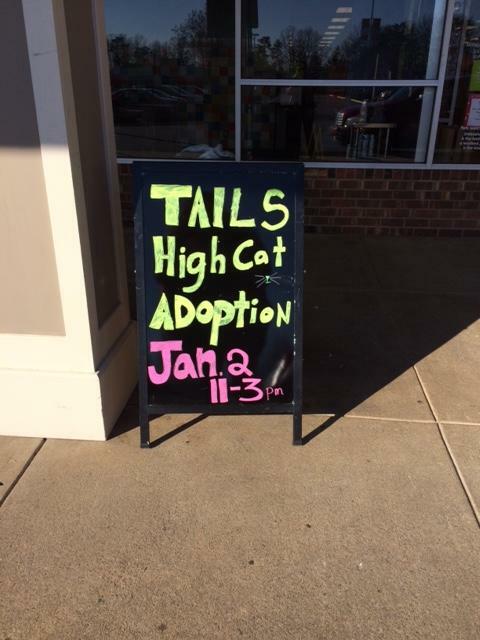 Check http://www.tailshigh.org for other adoption event’s dates and locations. Max is an astute and curious boy. He explores every nook and cranny of his environment, and even the tiniest change is noticed and thoroughly investigated. While initially baffled by closed doors, he persisted in his explorations until he learned how to open them. He adores having his medium length fur brushed, and is always quite pleased to find an open window where he can sit and feel the breeze. He’s shy until he’s comfortable with a person, but then he will always want to be near them. Watching TV, working on the computer, reading… there Max will be, sitting next to you. His foster family has reported he sleeps with his favorite family member every night. Max adores catnip, and is particularly fond of having his fuzzy toy mice coated in it. Max prefers a quieter home life, and probably would not do well with young children. He is fine as either a solo kitty or with one or two other cats he can befriend. He’s been seen cuddling with a previous feline friend, grooming each other, and at times chasing each other about the house. The Leaps and Bounds Crinkle Cat Tunnel is a pretty nifty toy. Your cat can run through it, sleep in it, and play with the toy that hangs in the middle of it. If you have multiple cats the Crinkle Cat Tunnel is a great obstacle in a game of chase. (based on a scale of 0-4 paws. 0 paws being the worst and 4 paws being the best). 1. In tigers and tabbies, the middle of the tongue is covered in backward-pointing spine, used for breaking off and gripping meat. When cats grimace, they are usually “taste-scenting”. They have an extra organ that, with some breathing control, allows the cats to taste-sense air. 3. Cats can’t taste sweetness. 4. Owning a cat can reduce the risk of stroke and heart attack by a third. The world’s largest cat measured 48.5 inches long. Tails High than just donating money! and pick Tails High as your preferred shelter. Then browse the extensive list of participating businesses (including Amazon.com) to see what donation that business will contribute back to us if you shop at their online establishment. We know a lot of people shop with http://amazon.com. On your first visit to either Adopt-a-shelter or Amazon Smile, you’ll need to select Tails High as your preferred shelter. Do you have an old car you don’t want? You can donate it to Tails High and we will receive the proceeds of its sale or salvage. E-mail us here and we’ll guide you through the process. 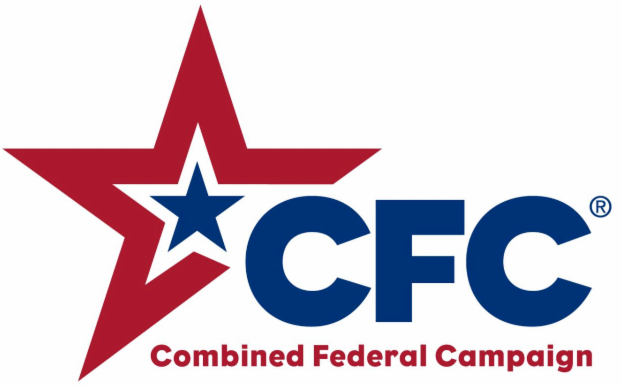 Government employees can designate Tails High for a portion or all of your CFC selection. We appreciate each and every donation no matter how small. Every little bit helps us care for the cats we rescue. We can tag you in our Facebook posts so you get a Facebook notification when our photos are posted. If you’d like to sign up for that, just send us a message on Facebook and we will take care of it. ● Volunteers: fosters, feeders, someone to build new signs for the adoption events. Tails High, Inc. is a 501(c)(3) tax exempt public charity so your donation is tax deductible. If you request one, we will send you a receipt by email or US mail.